Safety First on any roofing repair jobs we undertake. Weather a bungalow or a four story house, if scaffolding and permits are needed we will price it up for the job to keep ourselves and anyone near by safe. This is a roof we worked on over summer that needed a lot of work. 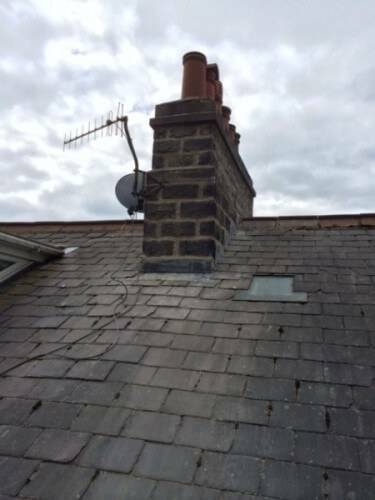 due to the failure of pointing on the stack and ridge tiles water was penetrating the roof and causing water damage. 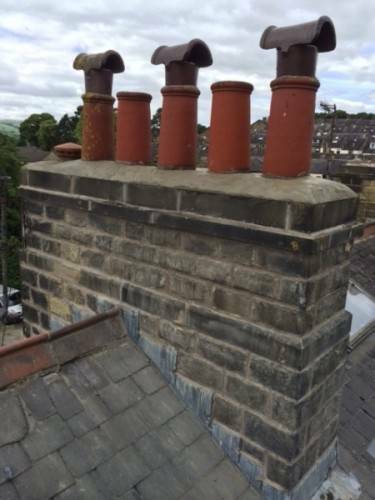 The Chimney stacks on both sides of the property were ground out using a mortar rake to a depth of 1 inch and re pointed to a brush finish. The lead flashing is secured and pointed back in. 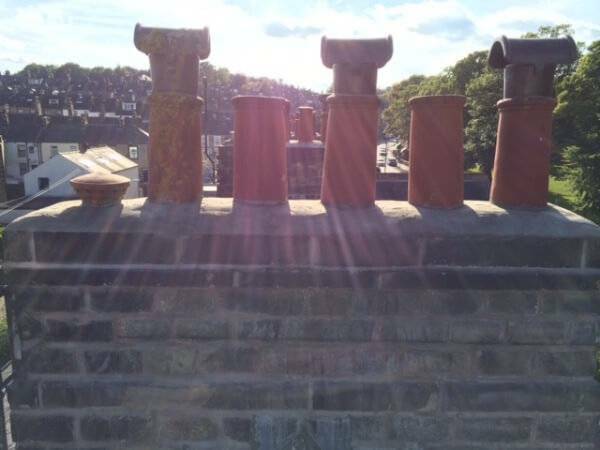 the cement around the pots had badly weathered and was badly allowing water to enter the property. The mortar was removed and replaced with a granite dome. This was smoothed off to allow the water to drain off. 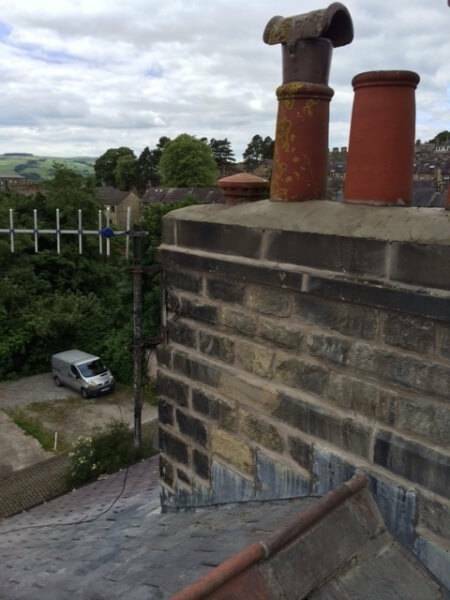 Making sure your chimney stack is in sound condition, is as important as the roof being watertight is self. Once water has breached the damage will only get worse to your property. Our roofing repair services can help. 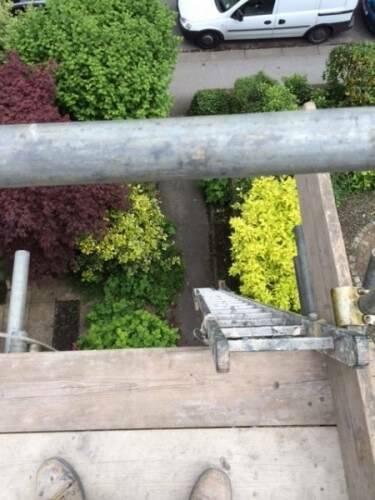 The ridge tiles were lifted on to the scaffolding and cleaned off. This gave us chance to to replace the broken slates at the top. 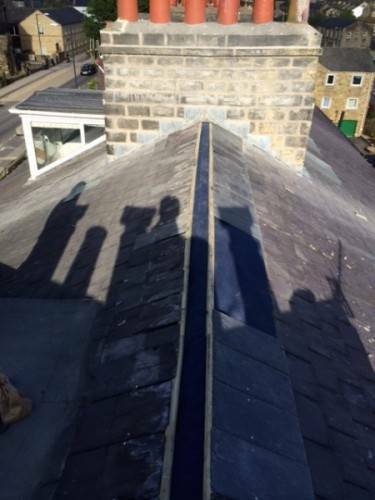 we fully removed the top layer of slates and fitted a layer of breathable membrane to ensure no water could get through. 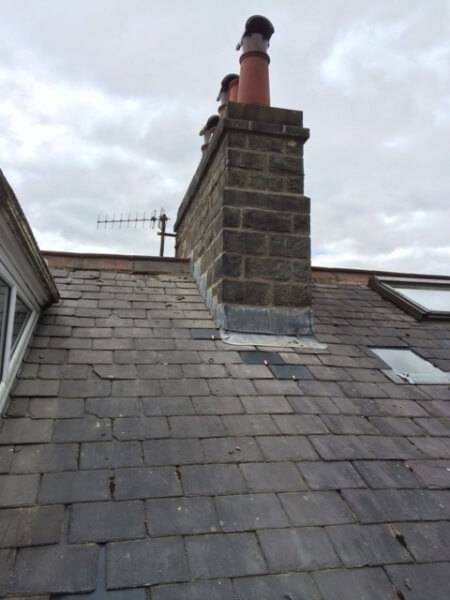 The slates were re-fit and the ridge tiles re-bedded and pointed to a brush finish. a 3 to 1 mix of sand and cement mix was used. 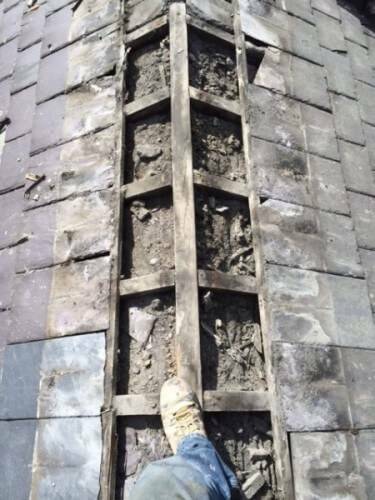 Around the roof there were a lot of broken and compromised slates. They are removed with a slate ripper and new slates were fit with copper straps. All debris is removed from site and left clean and tidy. 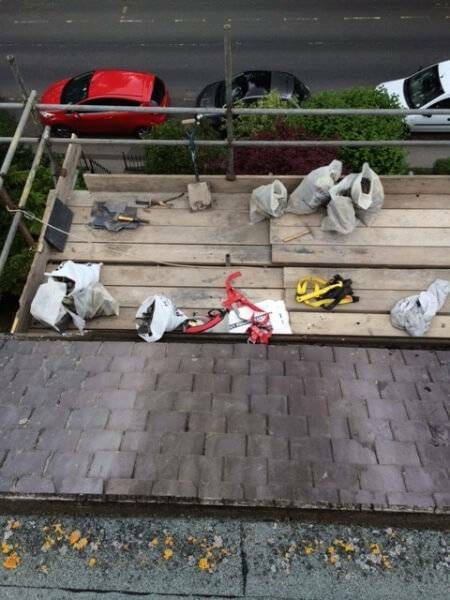 please call us on 07985711011 if you would like a estimate for any roofing repair work to your property. 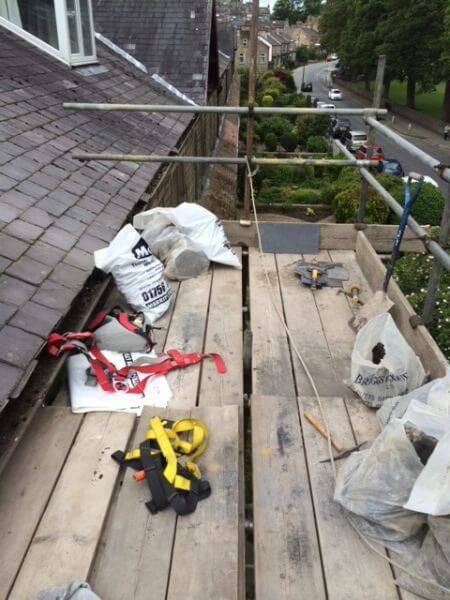 TF Building are Roofing company based in a and around the Skipton area.